GROW GROW, LET YOUR LASHES GROW ! Sorry for the late post. I’m really sick and un-comfort for the whole month and totally has no mood. But chill, i’m better now!! And i did love to share this below product !!! I have been using the same eyelashes product for the longest time. About 3 month, if im not wrong. It called the Xlash. Xlash is providing a safe and natural way of achieving beautiful, strong and healthy eyelashes. Well, product for eye always have to extra careful .You dont wanna end up going to ee a eye doctor. Now this eyelash product totally awesome, i never believed that it really works that well. And i always wanted to have a eyelash that looks long and thick! It much more less hussle when come to eye make up. I dont have to put on the fake lashes anymore. So i decided before i review the product i should apply it for at least a 3 month to see a perfect result. The Eyelash serum come with a little brush as shown above and it pretty easy to apply. *My lashes are never that long as of before* 100% safe to use. The product do not have any side effect, or irritation. Don’t worry about the serum that apply on your skin might cause allergic. Xlash uses the unique blend of high quality ingredients !! Lab tested. Safe and proven formula! 1. Xlash promotes the growth of the eyelashes by providing several natural ingredients to the hair follicles. 2. Important minerals affects the cell renewal in a positive way, which can speed up the growth. 3. Another positive effect of the addition of nutrious minerals is that the eyelashes may become thicker. 4. A well proven method among many happy customers. Check this out !! Before and after for the 3 months. Super excited to share the result! 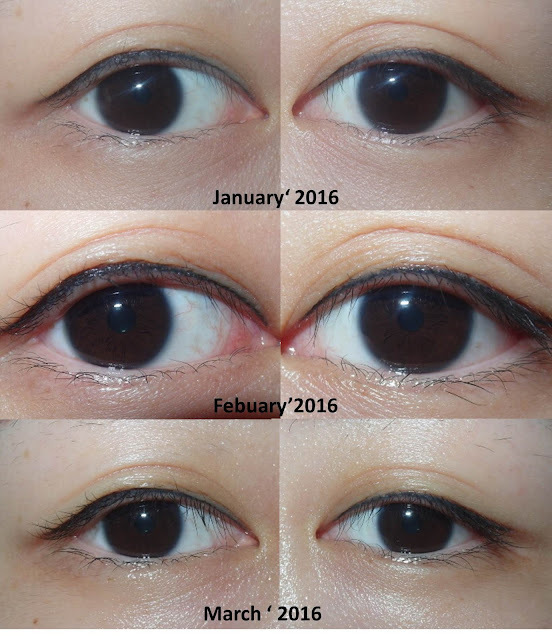 As you can see from jan till now, my lashes really got a lot more. And I’m very proud of my lower lashes too. Check them out here if you are interested in having a longer, thicker lashes! !